ConsumerAffairs dot com is one of a growing number of websites that use deceptive techniques to make you think they are doing a public service when in reality the aim of the site is to get you to click on their ads for the sole purpose of MAKING MONEY! Don't believe it. They are not a government agency, they are not a non-profit consumer watch dog group nor are they affiliated with any reputable consumer protection agency or organization. They have a deceptive name that lures you into thinking they are something they are not in order to SELL ADVERTISING. We noticed some time ago that this website had linked our name to one of their pages. If you go there you will see a total of ten consumer complaints. Most are well over a year old and some date back to 2003. We have been unable to trace any of these to actual customers who bought products from our website. We have attempted to put our own reply comments on this page without success or reply from them. It is clear to us that they are not a consumer advocate, they are a deceptive, money making scam. The purpose of websites like Consumer Affairs dot com is to get you to click on their Google ad links. Every time you do they make money. But, how do they drive traffic to their own site in order to get you to click on those high paying ads? They find popular websites, like ours, and link to them. Then, when you type "High Tech Pet" or "High Tech Pet Store" into the Google search box, as about 3000 consumers do each day, you will see their website listed among the search results with a tantalizing, but highly misleading tag line "Consumer Complaints about High Tech Pet Store". 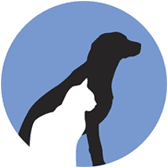 You are interested in purchasing pet products so you click on their link to check us out. When you get there, you will see all sorts of pet product ads to click on. You click on an ad. They make money. Pretty clever isn't it? WHO ELSE HAS ConsumerAffairs dot com SLAMMED? We seem to be in pretty darn good company. 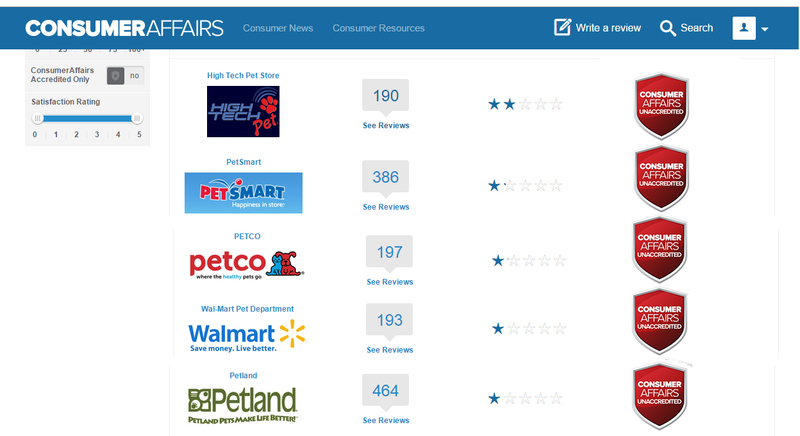 Above is a page taken from ConsumerAffairs dot com "Pet Store" "Compare Companies" on July 13, 2015. We have assembled their listings to show on one graphic, the more major companies on their "Unaccredited" standing, which means that they refuse to subscribe to the exorbitant monthly fee that ConsumerAffairs dot com requires in order for a company to become "Accredited". Without subscribing to this monthly fee, reviews can be posted by supposed "consumers" but the companies for which the reviews are posted, are restricted from publicly responding to the "reviewers". Consumer Affairs dot com advertises that replies can be posted with a free account, but in actuality, those replies go to what Consumer Affairs dot com call a "private" posting. 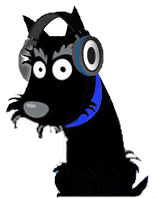 High Tech Pet opened a free account, and personally answered many, many reviews with "private" postings, offering to fully resolve the supposed "issues" by the supposed "reviewers". High Tech Pet did not get even one response back from the "private" postings that we made. Further, we searched our sales database for key reviews that had enough identifying factors in them to find orders if we had them, and we could find none in our database. Below is a partial list of the thousands of companies listed along with High Tech Pet Store in ConsumerAffairs dot com�s �Rogue Gallery�. Here you will find some of the most reputable companies in the nation. Again, this is just a very partial list! Do you think companies like Apple Computer, Ebay, Fisher Price and Hewlett Packard are charlatans trying to cheat their customers as ConsumerAffairs dot com would have you believe? Or do you think, perhaps, ConsumerAffairs dot com is the real charlatan trying to confuse consumers and usurp the popularity of these well known names to sell their keyword ads? The answer is obvious. In the meantime, if you really wish to find out the truth about a company's background, check their local Better Business Bureau rating and their Ebay feedback rating if they have one. Consider the length of time they have been in business and the total number of products and customers that they service. Look at what other real customers say about them. You may even wish to ask the company to refer you to other customers who have bought products similar to the ones you are interested in. Also note that sites hosted by Yahoo Shopping, such as ours, are scrutinized and periodically reviewed by Yahoo. Consumer feedback is sent through the Yahoo Store system and reviewed by Yahoo Store personnel. If it's a Yahoo Store displaying the trademark protected logo, you can be just about 100% sure it's a reputable merchant. If you wish to check the validity of a so-called consumer watch dog group like Consumer Affairs Dot Com, it's easy. Just try to get them on the phone. It's impossible. Send them an email and all you will get is an automated reply. They do not exist to help you as a consumer. They exist to MAKE MONEY. Our lawyers have sent letters to this company demanding that they stop their deceptive practices which unfairly damage the reputations of good companies like ours. They are operating on the thin edge of ethics and legal trade practices. Currently our attorney's are preparing a lawsuit against Consumer Affairs Dot Com in order to get them to clean up their act. This, unfortunately, is usually a long, expensive process but, we plan to pursue it to the end and we will prevail. WHAT ABOUT HIGH TECH PET STORE? Our company has been in business for twenty years now. We have shipped more than 100,000 products from our website alone. Our ingenious, high quality products are sold world wide by the most reputable companies like PetsMart, Sam's Club, Big Lots, Home Shopping Network, Harriet Carter Gifts, Drs Foster & Smith Catalog and many others. Over our twenty year history, through fine retailers like these, we have sold more than ONE MILLION ITEMS. Believe it, you can't do that without a keen focus on product innovation, quality and GREAT CUSTOMER SERVICE! Please check out our About our Company page, browse our website or give us a call at 1 800 255-1279. Our company President, Nick Bonge, a nationally acclaimed engineer and research scientist, founded the company in 1986. 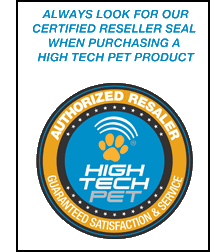 You will find that High Tech Pet is a highly reputable and long established with an intense focus on product quality and CUSTOMER SERVICE! Consumer Affairs VP of Business Development rudely cancelled our online conference, that had been scheduled 5 days prior, 36 minutes before the scheduled appointment. His email, in part, stated "I am canceling the scheduled call we have today as a result of the posting your company has about us here: http://www.hitecpet.com/consumer-affairs-dot-com.html". and then, "ConsumerAffairs' CEO, Zac Carman, is CC"d on this email. He is your only point of contact at ConsumerAffairs going forward. He did not have the professional courtesy to call or to give any notice of the cancellation. Subsequent email correspondence from our Director of Online Outreach and the CEO of Consumer Affairs resulted in the CEO stating that if we would agree to first sign a Non Disclosure Agreement and delete this url, he would re-schedule the appointment. We countered with the offer to continue with the appointment, so that we could attempt to purchase a level of service that would allow us to publicly respond in their review forum, and upon reaching an agreement to purchase the service, we would then sign the Non Disclosure agreement and delete this url. Consumer Affairs' CEO denied our request, in an email that stated in part ". . . we don't speak with anyone in detail about our products and services without a NDA. . . ", and went on to state that he would only be willing to have further discussion with the CEO of High Tech Pet. That is where it currently stands. MR. CARMAN, WHAT ARE YOU AFRAID OF DISCLOSING THAT YOU DON'T WANT BROUGHT TO LIGHT?